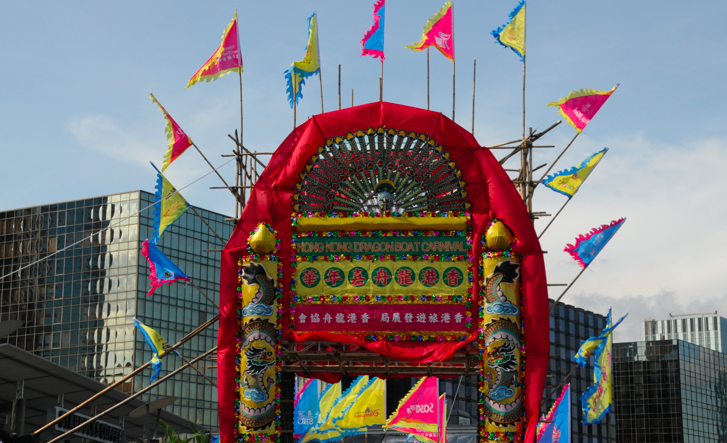 Yesterday we went to the final day of the Dragon Boat Carnival in East Tsim Sha Tsui. 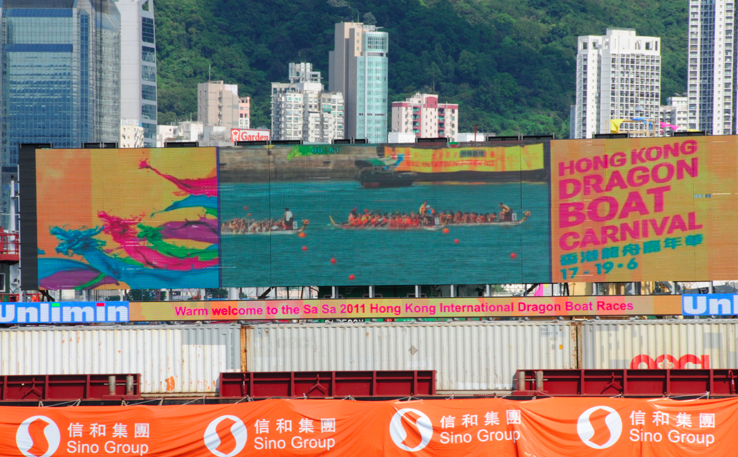 Together with thousands of other dragon boat enthusiasts we went to the East Tsim Sha Tsui waterfront and watch the dragon boat races. 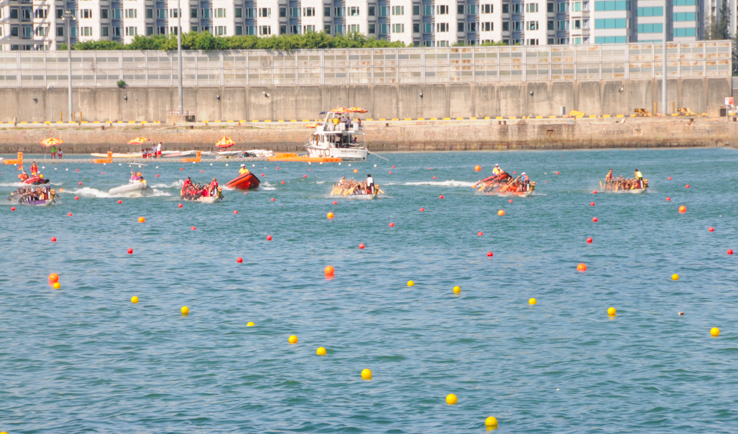 They had already started on Friday, went through Saturday and finished today – so it was a packed weekend for some, but we only came for the last races. 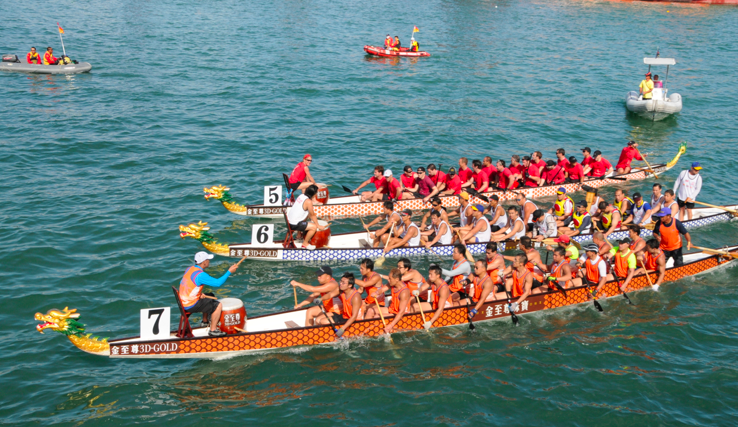 More than 20 overseas teams and over 150 local squads took the water in Vitoria Harbour. The races started at the Intercontinental Grand Stanford and finished at the Wing On Plaza, so with us coming from the Avenue of the Stars, we were in a perfect spot to watch the finishing line. 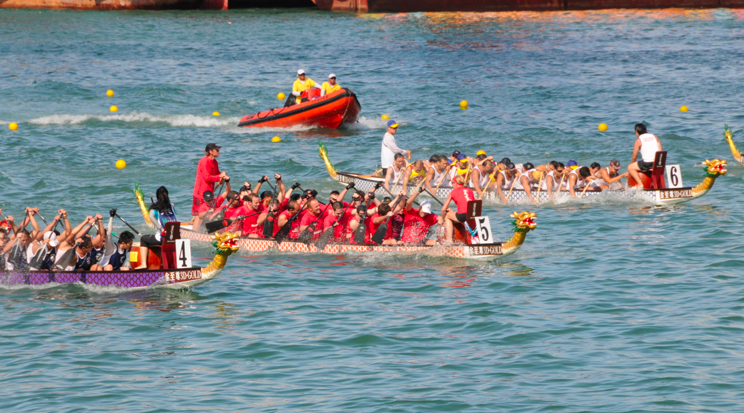 Two types of boat races took place, the small dragon boat race with 10 paddlers for 250 metres – and the ones we watched, on the standard dragon boat with 18-20 paddlers and for 500 metres.